Would you like to learn how to create beautiful, spontaneous Acrylic paintings? Book in for Gayle Reichelt's Acrylic Pour Workshops. 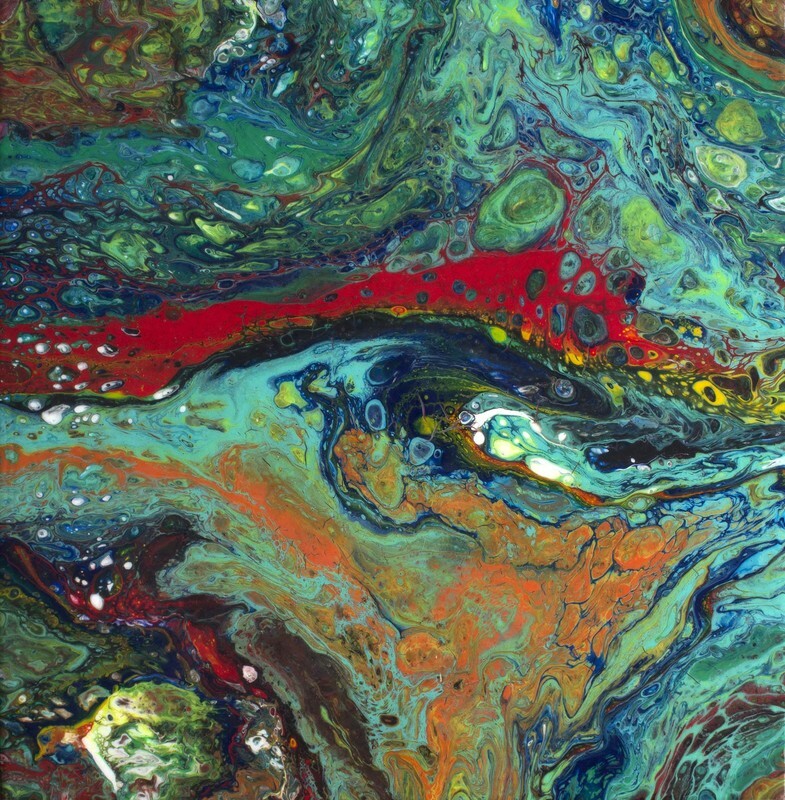 Acrylic Pour is a similar but satisfactory alternative for students who like the look of Resin but are sensitive to it. ACRYLIC POUR WORKSHOPS AVAILABLE . Sunday morning 10th February 2019 10:00am. ​Contact Gayle on E: gayle@gaylereicheltart.com to book in or to arrange a different date. Cost: $170.00 per student includes all materials. Each workshop will be for a 3 - 4 hour session - pick up cured works two+ days later, or pay for postage. Notes on Safety, what materials to use, and where to get them will be provided after the workshop. A non-refundable deposit of $50 is required to book in, however date can be changed if required. ​Dates and time of Workshop will be arranged mutually between Gayle and the student/s. Book in by contacting Gayle directly by email on gayle@gaylereicheltart.com for Electronic Transfer details, Pay Pal or Cash Deposit. IMPORTANT NOTE: The minimum age for an acrylic pour workshop is 16 years. I have assessed that the handling of messy materials and the handling of the butane torches and heat guns makes it difficult to ensure safety for children. * Safety precautions for working with paint and additives, and typical workspace set-up. * Acrylic pouring terms and definitions. * What substrates can be used with acrylic pour and how to prepare them for acrylic pour. * What kinds of Pouring Medium are there, where to get them, or make your own. * How to mix paint & pouring mediums for consistency, suitable for acrylic pour. * What type of paints you can use. * Paint additives for the creation of cells. * Torching (for adults only). * What tools and equipment you will need to set up at home for acrylic pour. * How much paint you need for your substrate. * Advice on how long it takes for paint to dry. * How to clean the surface of your painting ready for sealing. * How to make your painting shiny after it has dried. Add your email address and click Subscribe to Newsletter. Click here to purchase a Gayle Reichelt Art Gift Voucher. Purchase a Gift Voucher here for a perfect gift for that special person in your life. Gift Vouchers for your nominated amount are available for purchase, with 12 months to redeem, and is a gift that keeps on giving. ​Gift Vouchers can be used for any of Gayle Reichelts Art Workshops, can be used for a private lesson or for purchasing a Gayle Reichelt painting. Gift Vouchers can be sent via email, or printed and posted to be given as a gift. Live demonstration in an Acrylic Pour Workshop with Gayle Reichelt. Please give me a like and comment and share with your friends.